The 9 Best Cooking Classes in Utah! Bolstering your culinary tool belt is essential for everyday life. Whether you’re looking to become a master baker or to become more familiar with ethnic cuisine, Utah has a variety of cooking classes to suit your preference. Impress your friends and family after you’ve tried one (or more!) of these awesome cooking classes in Utah! Harmon’s Grocery is a household Utah name. With a gourmet yet accessible reputation, the grocery store (with multiple locations across the state) also orchestrates community cooking classes. Taught by professional chefs, the classes take place in-store in state of the art kitchens. Although most people head to the Provo Recreation Center to exercise or hit the waterslides, there are also those who indulge in the center’s cooking classes. Offering classes such as “Mexican Cuisine,” “Basic Cooking Skills,” “Intuitive Cooking,” and “World Culture Tour-Cooking Classes,” the center also organizes cooking classes for kids. 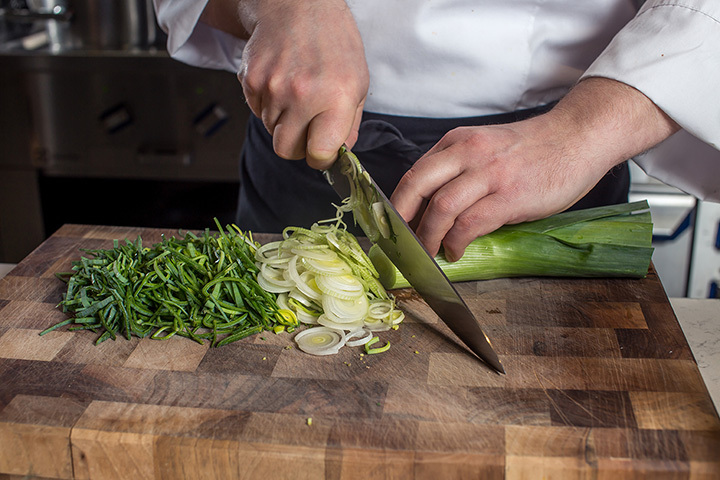 You can expect nothing but the best from the Salt Lake Culinary Center’s cooking classes. Aimed at helping aspiring (or non-aspiring) cooks to become confident in their cooking abilities, the center offers cooking classes for different ability levels. In addition, the class sizes are small in order to provide each student with individualized attention. At the Salt Lake Culinary Center, you can be sure your money and time will not go to waste. Put on by a family owned and operated wholesale and kitchen supply store in Salt Lake City, cooking classes at Gygi are nothing short of classy. If you want to learn how to make beautiful (and delicious) cakes, sushi, and even designer cookies, Gygi is your place. The classes are small and if anything, the sense of community at Gygi is worth coming for. Thanksgiving Point is—plain and simple—a master of all trades. As with anything they do, their cooking classes are detailed, exciting, and well-worth the price. Unfortunately, Thanksgiving Point doesn’t offer cooking classes every week. If you keep on tabs with their schedule, however, you won’t be disappointed. In recent years, Utah Valley University has blossomed. Active in community outreach, the university is popular not only in the eyes of students, but also in the eyes of Utah residents. With a resident culinary institute, the university also has the credentials to offer superb continuing education cooking classes. Caputo’s brings European delicacies to the Rocky Mountains in the form of a deli, a bakery, and a café. And their classes are all about the finer things in life such as chardonnay, cheese tasting, and classical French cuisine. Not only is Caputo’s a foodie’s paradise, but an extensive education on how to be gourmet. Marguerite Marceau Henderson is the Utah’s very own Martha Stewart. But really, Henderson knows her food. In Salt Lake City, you can take advantage of her expertise by taking one of her cooking classes. The only catch is that she no longer has a regular cooking class schedule, but you can organize a group cooking class with her with up to eight people. Eating well is all about eating mindfully, and Mindful Cuisine focuses on helping its students re-master the concept of intuitive eating. Offering both scheduled and private events, the company wants to help people develop positive relationships with their food that are focused on fresh ingredients, gardening, and a sense of community.